AFTER all these years, Al Young has become an elder statesman of New Zealand blues and folk. He’s played festivals and venues all over the country – and in Australia and the United States – and is also a dedicated collector and researcher of blues dating back to the early years of last century and beyond. Al’s interest in blues was sparked around 1964 by the work of British “beat” groups like the Rolling Stones, the Animals and others who were exploring the rich field of the blues. He quickly moved on to listening to and studying the genuine article, and is today known as a top traditional blues performer and as an authority on African-American folk music whose writing has appeared in specialist publications in the United States, Europe and the UK. 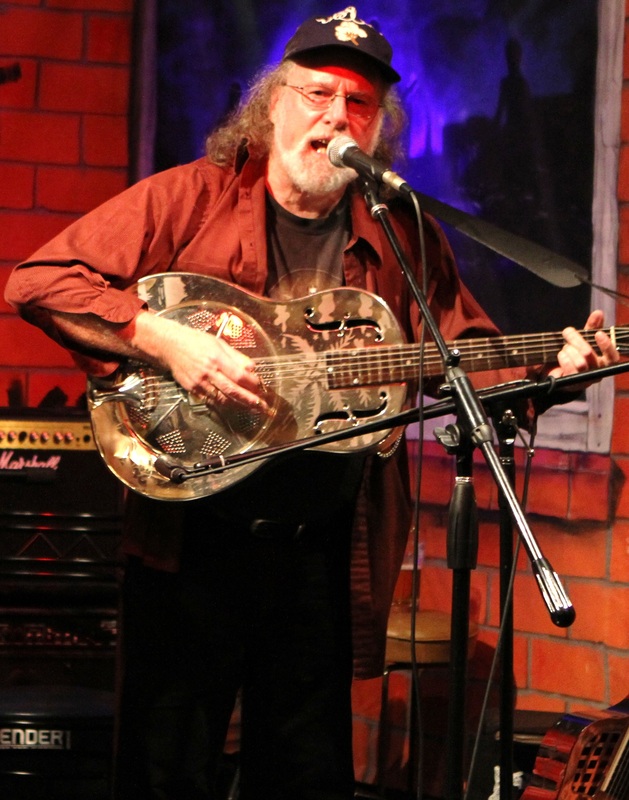 He has appeared at major festivals in Australia and New Zealand, and has done TV work, radio programs and lectures on blues. He is a veteran of the Wellington Folk Festival – his first appearance was in 1972 when he joined Frank Povah in an autoharp workshop. He was a featured artist for the first time in 1974, and has guested several times since as the festival moved from Wellington University to St Patricks College to Onslow College and now Wainuiomata. Among the highlights of his varied career have been appearances in the United States, made during several visits to the homeland of the blues. He has played in Memphis and Mississippi clubs and bars, and was three times featured in the Beale Street Messaround, a tribute held each year in a different clubs on the famous Memphis street to the music that gave it its fame. “It is a marvellous feeling to be able to take the music from New Zealand back to its native land and be well-received playing in the areas in which it was created,” he says. More recently, Al has widened his activities even further by writing two books on gospel music. Woke Me Up This Morning is a study of grassroots gospel around Memphis and North Mississippi; The Pilgrim Jubilees is a biography of a leading gospel quartet, research for which included time on the road with the group. Both were published in the United States, by the University Press of Mississippi, and won certificates of merit from the Association for Recorded Sound Collections in the United States for the recording research included in them. He has also written liner notes for gospel music CD issues.